Curator Lee Plested commission AFJD to design an installation for Primary Research Lab, an exhibition of seminal minimalist works on paper from the print collection of Western Gallery at Western Washington University, with responses by contemporary artists and designers. Artists in the exhibition included Agnes Martin, Richard Serra, Joseph Albers and Jo Baer, among others. AFJD’s contribution, entitled Mycobench was fabricated from an advanced biodegradable biocomposite material consisting of a blend of mushroom spores and sawdust. 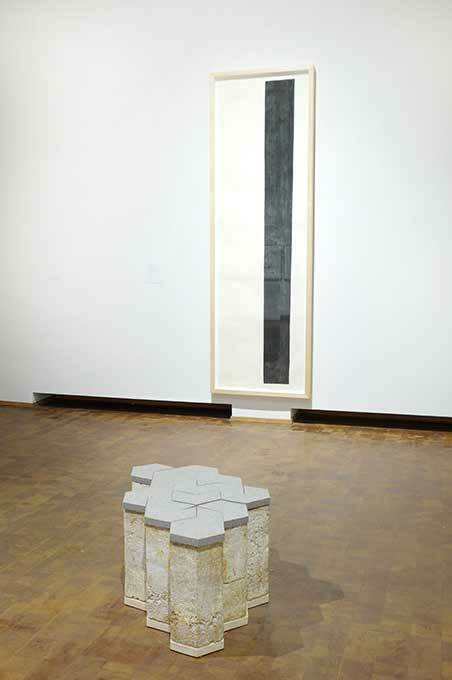 The honeycomb design reflects a fabrication process in which individually moulded hexagonal blocks are grown together to produce larger forms, which were then dried to produce furniture that was installed in the main space of Western Gallery. 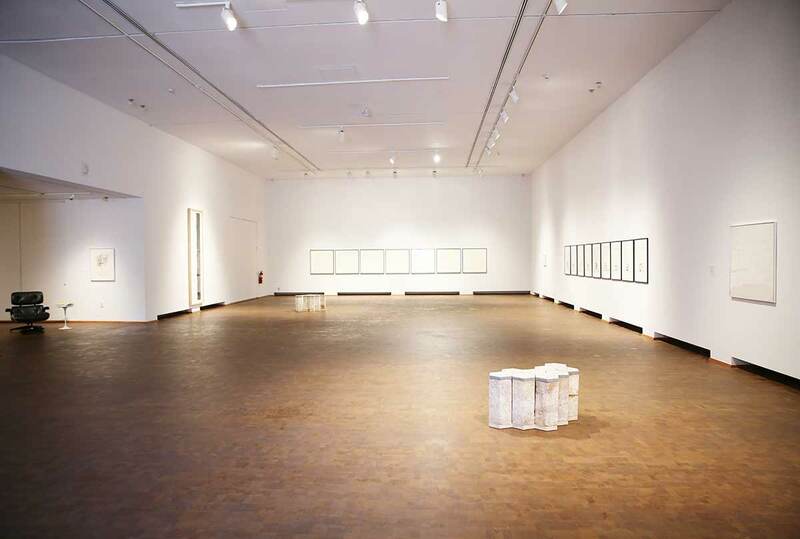 “Primary Research Lab hosted a series of engagement labs which had the intention of creating active platforms for encountering works of minimalism from the collections at Western Washington University. These labs will highlight the physicality of these encounters. Through commissioned works, events, tours, listening sessions and screenings the lab series will contribute a contemporary and sensory perspective on these artists forms. AFJD led a mushroom moulding workshop using the same materials they used to create the experimental furniture pieces in the current exhibition. 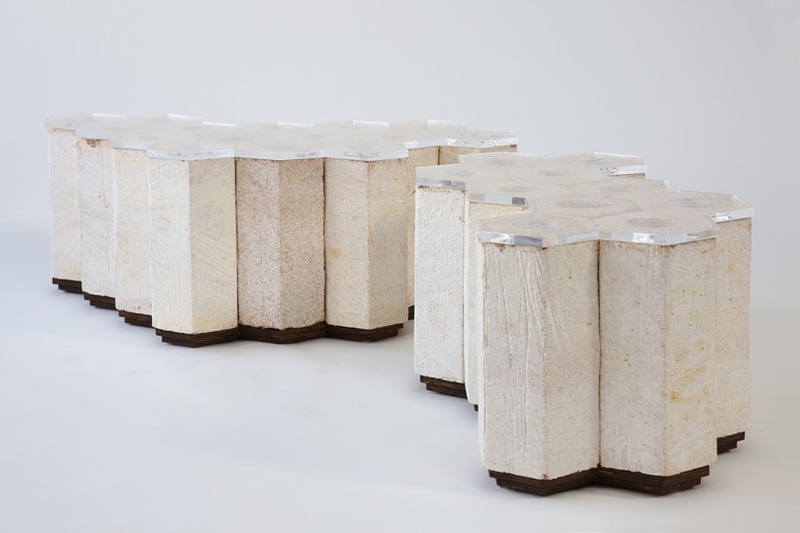 The honeycomb furniture is moulded from a blend of mushroom spores and sawdust, which produces a sustainable materials called mycelium biocomposite. The method suggests a future in which biodegradable architectural components are grown rather than manufactured.